For this Staff Spotlight, we sat down with Amy Spencer. 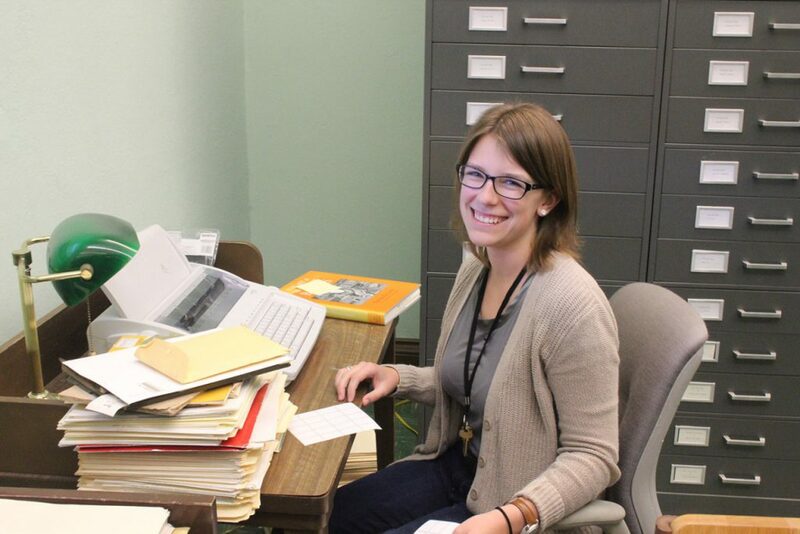 Amy recently graduated with a double major in linguistics and theatre design and a minor in Russian, and she's been our Special Collections undergraduate assistant for four years. She's moving on to new adventures at the end of next month, and we will miss her! 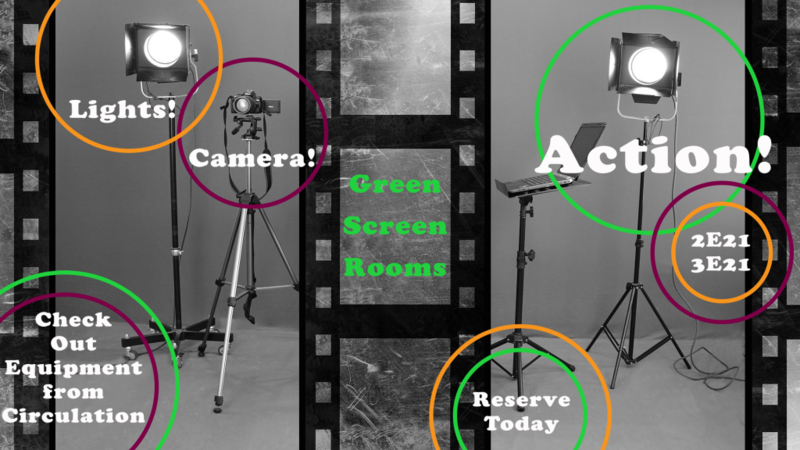 Spend the summer in Columbia, working with the MU Theatre Department, then off to the University of Illinois in the fall to start grad school for Library and Information Science. 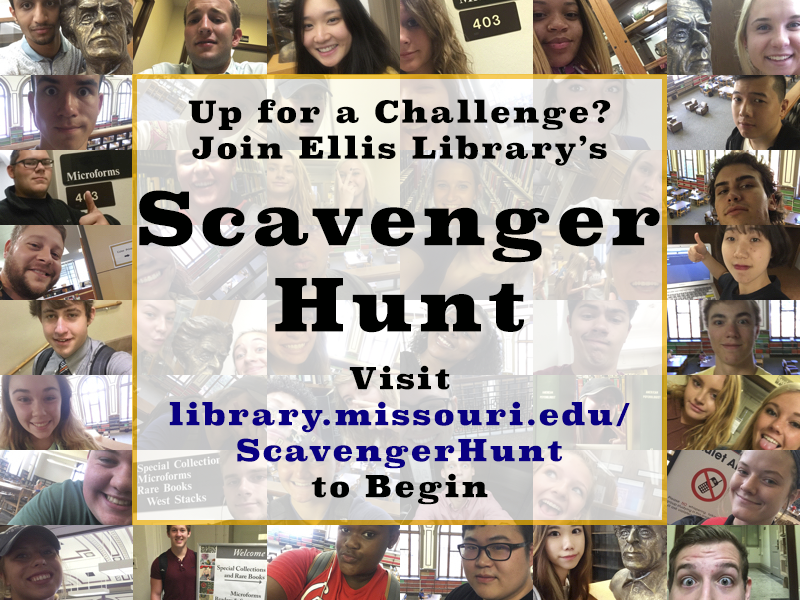 What type of work do you do in Special Collections? I usually start off my shift at the reference desk in our reading room. While I'm there, I'll do some blogging or another computer-based project. Once I'm off the desk, I'll do something like reshelving or pulling books for a class. Recently my big project has been going through our Spec-M collection and straightening items on the shelf and pulling things that need re-housed. So that's something I've put a lot of time in on when nothing else needs done that day. What has been your favorite project since you've been here? A couple of years ago, the annual display we do in conjunction with the Life Sciences Symposium was themed "The Science of Superheroes," and I got to help with a big part of that display since I like comics so much. It was a lot of fun to get to help with that and really get to dive into our comics collection. 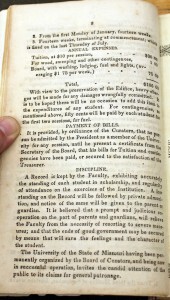 home Resources and Services, Special Collections, Archives, and Rare Books Happy 175th Birthday, Mizzou! 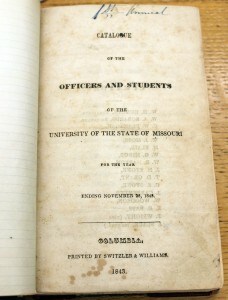 Today is the 175th anniversary of the founding of the University of Missouri on February 11, 1839. 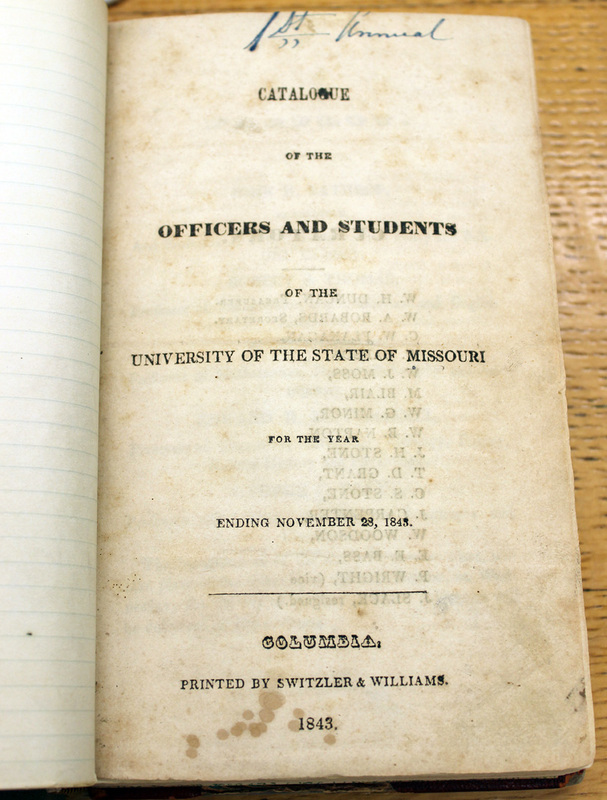 We're joining in on the celebrations by sharing the very first University of Missouri catalog, one of the oldest items in the University of Missouri Collection. 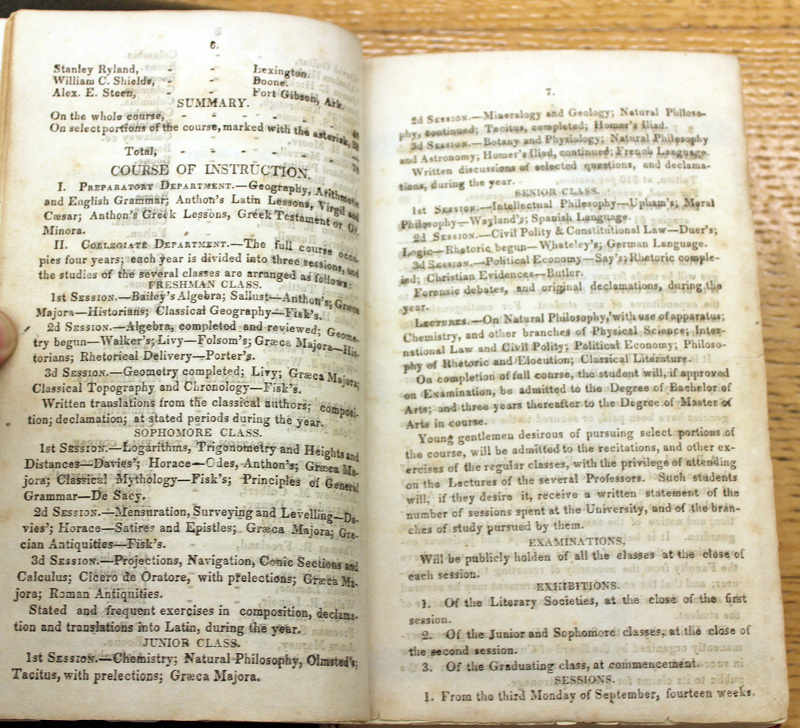 It wasn't issued until 1843 – that's the first year the university had a senior class – but it's an important piece of our history and shows just how far we've come over these 175 years. 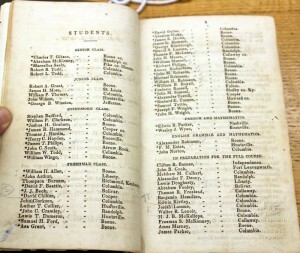 As you can see below, the first senior class was made up of five students – two of whom were named Robert Todd. If you've been around Columbia for a year or two, you may recognize some of the other last names on buildings and street signs around town. There were no majors back then. 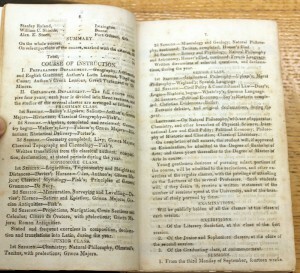 Everyone took the same course of study, which was divided into three sessions per year. 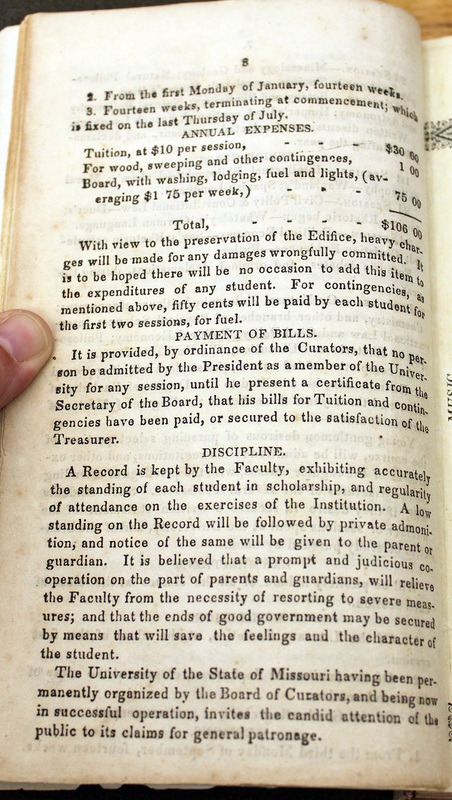 "The University of Missouri having been permanently organized by the Board of Curators, and being now in successful operation, invites the candid attention of the public to its claims for general patronage." For more on the history of the university, check out the digital exhibits available through the University Archives. 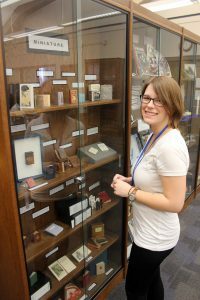 home Resources and Services, Special Collections, Archives, and Rare Books Welcome Back, Students! Fall is in the air, and students are everywhere! As we welcome members of this record-breaking freshman class, it may be interesting to see how their predecessors dealt with the first weeks of classes at MU twenty-five, fifty, and even 100 years ago. 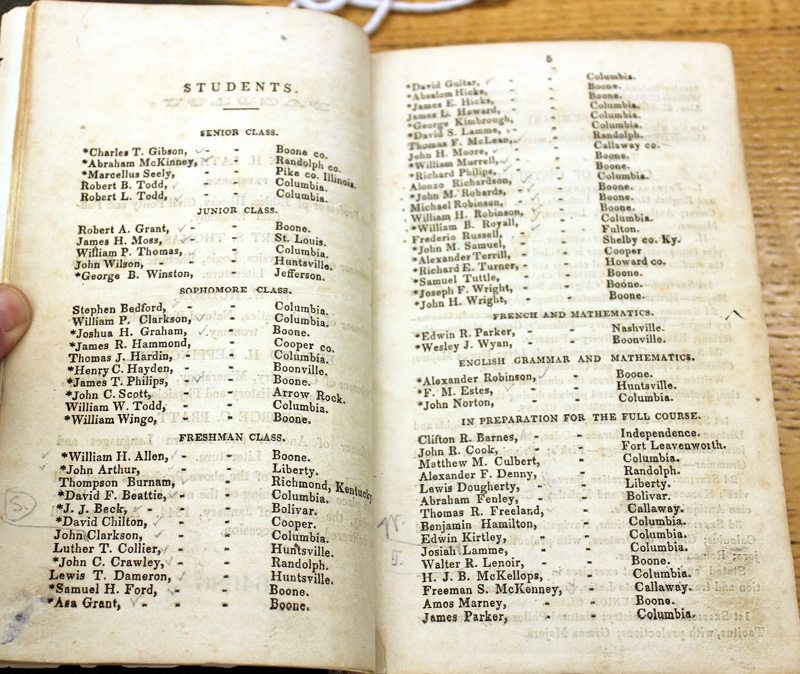 The university bulletin for 1911 records a total enrollment of 2,956 students in the Columbia campus. 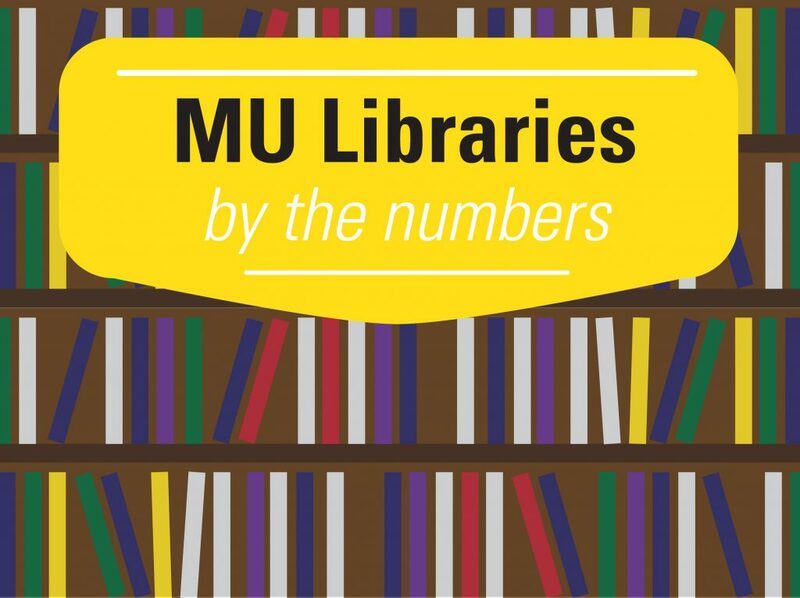 One hundred years later, enrollment at MU is more than ten times that number. 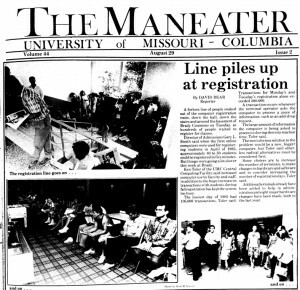 The current student newspaper, the Maneater, was in publication by 1955. In the first week of classes in 1961, it reported that the new Arts and Science Building was nearing completion and would be in use later that semester. The new building would feature a language laboratory, increased classroom space, a public address and intercom system, and a special classroom equipped with closed-circuit television. And – perhaps most importantly – air conditioning. The Arts and Science Building was home to the departments of English, History, German and Russian, and Romance Languages when it opened in 1961. Classrooms and office space for these departments had previously been in Jesse Hall. Director of Admissions Gary L. Smith said when the first online computers were used for registering students in April of 1985, approximately 40 to 50 students could be registered in five minutes. But things were going a lot slower this week at Brady. Student registrations were taxing the processing power of MU's relatively new computer network, causing the slowdown. Over the past 25 years, various computerized registration systems have made waiting in line at Brady Commons obsolete – and Brady itself has become part of the new Student Center. Records of of past student life, including documents, publications, photos, and memorabilia, are at the University Archives. 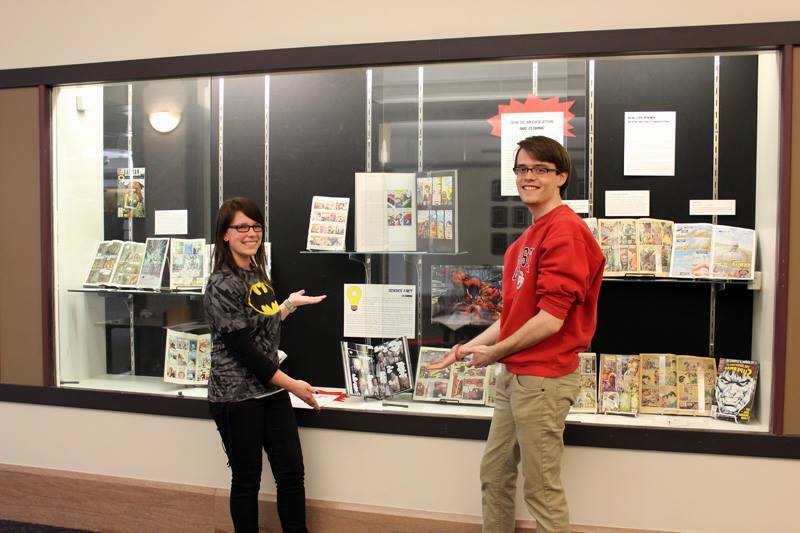 Special Collections also holds the student publications mentioned above, and over 100 years of the Savitar (1891-2000) are available in the University of Missouri Digital Library.